German painter, engraver, mathematician printmaker, and theorist Albrecht Dürer sadly Died 6 April 1528. 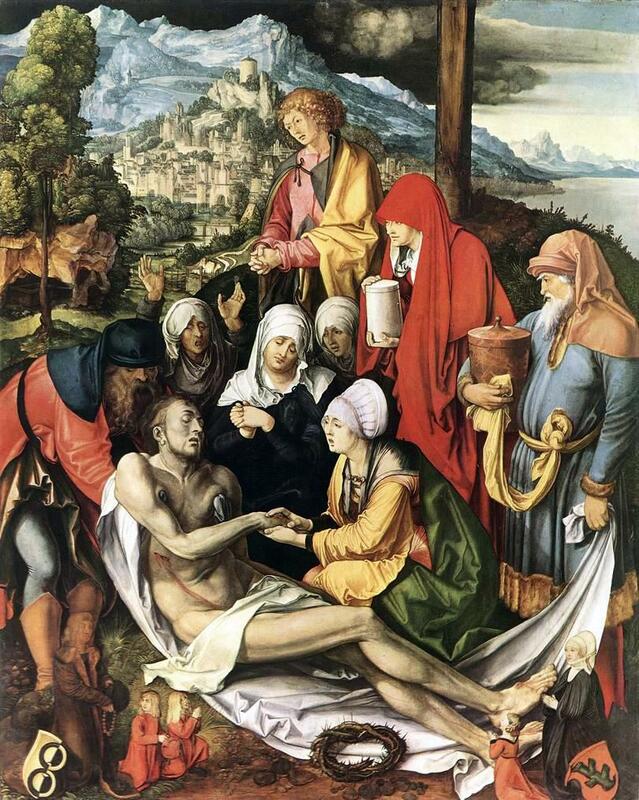 Born 21 May 1472, he is regarded as one of the greatest artist of the Northern Renaissance. His vast body of work includes altarpieces and religious works, numerous portraits and self-portraits, and copper engravings. The woodcuts, such as the Apocalypse series (1498), retain a more Gothic flavour than the rest of his work. His well-known prints include the Knight, Death, and the Devil (1513), Saint Jerome in his Study (1514) and Melencolia I(1514). His watercolours also mark him as one of the first European landscape artists, and his ambitious woodcuts were revolutionary. Dürer’s introduction of classical motifs into Northern art, secured his reputation as one of the most important figures of the Northern Renaissance. This is reinforced by his theoretical treatises, which involve principles of mathematics, perspective and ideal proportions. On April 6th 1965 The British Government announced the cancellation of the British Aircraft Corporation TSR-2 aircraft project. Which was designed to be a Cold War strike and reconnaissance aircraft developed by the British Aircraft Corporation (BAC) for the Royal Air Force (RAF) in the late 1950s and early 1960s. The TSR-2 was designed to penetrate a well-defended forward battle area at low altitudes and very high speeds, and then attack high-value targets in the rear with nuclear or conventional weapons. Another aspect of its combat role was to provide high-altitude, high-speed photo reconnaissance, requirements that necessitated incorporating “state-of-the-art” aviation technology that would make it the highest-performing aircraft in these roles. Only one airframe flew and test flights and weight rise during design indicated that the aircraft would be unable to meet its original stringent design specifications. The design specifications had been reduced as the results of flight testing became available. Sadly The TSR-2 was the victim of ever rising costs and inter-service squabbling over Britain’s future defence needs, which led to the controversial decision to scrap the programme in 1965. With the election of a new government, the TSR-2 was cancelled due to rising costs, in favour of purchasing the General Dynamics F-111, an “off-the-shelf” decision that itself was later rescinded as costs and development times skyrocketed. The replacements included the Blackburn Buccaneer and McDonnell Douglas F-4 Phantom II, both types being previously considered and rejected early in the TSR-2 procurement process. Eventually, the smaller swing-wing Panavia Tornado was developed and adopted by a European consortium to fulfill broadly similar requirements to the TSR-2. 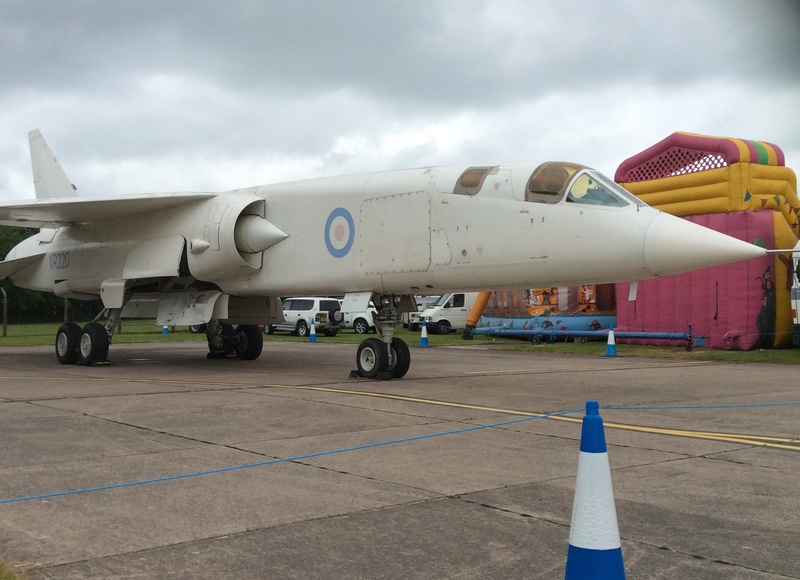 Fortunately there are still TSR2’s on display at RAF Cosford nr Shifnal in Shropshre and RAF Duxford.